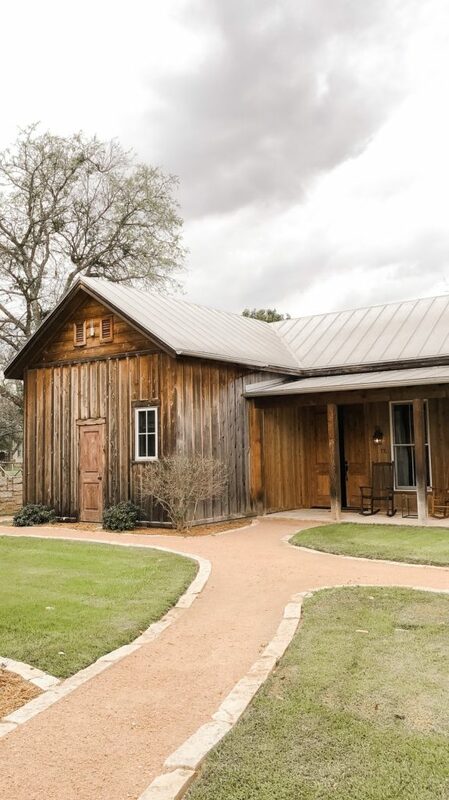 Zac and I travelled this past weekend to the small Texas German community of Fredericksburg to celebrate our second wedding anniversary and we had such a wonderful time! 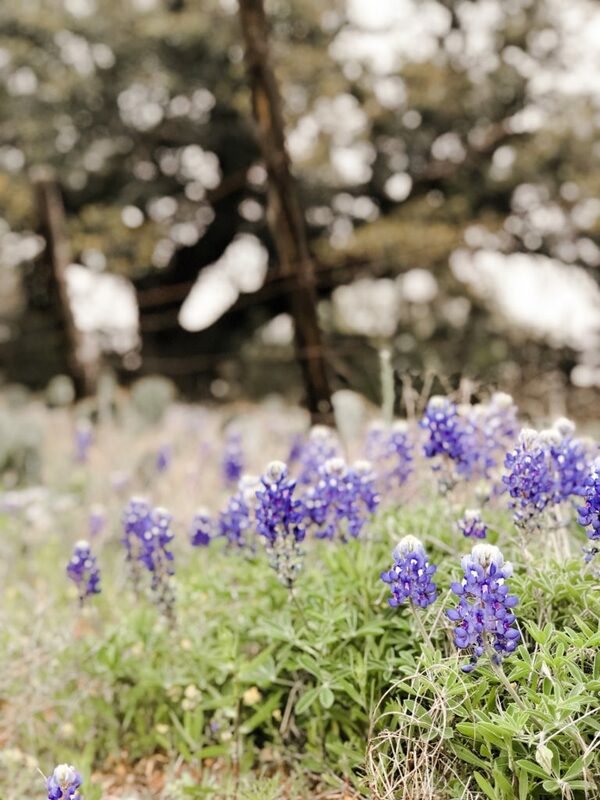 We slept in, had delicious food, saw wildflowers and of course tasted amazing Texas wines, and beer! 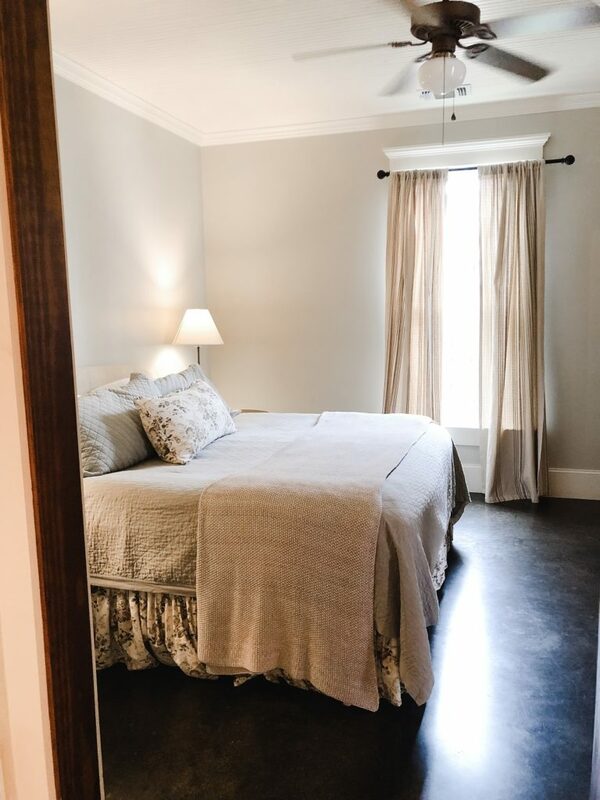 We stayed two nights at a gorgeous bed and breakfast, the Hoffman Haus. 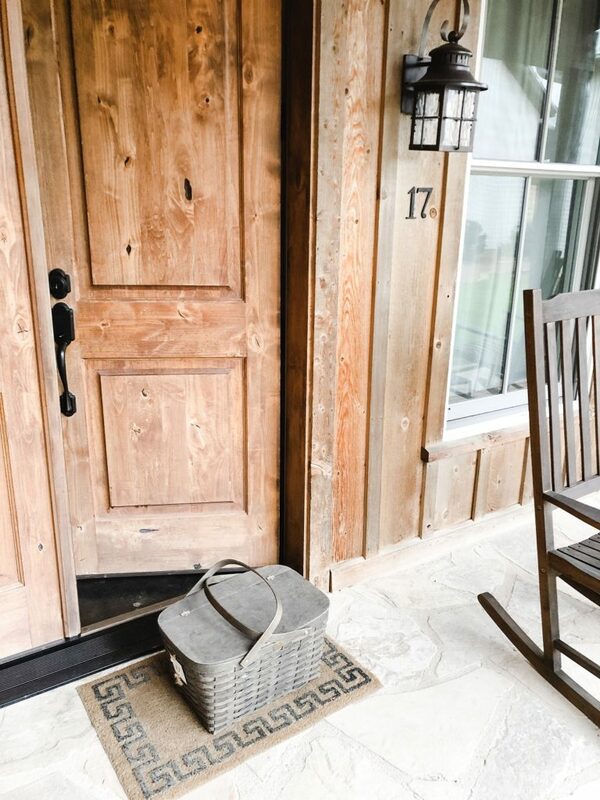 The grounds are absolutely beautiful and each cottage is uniquely decorated in their own way. 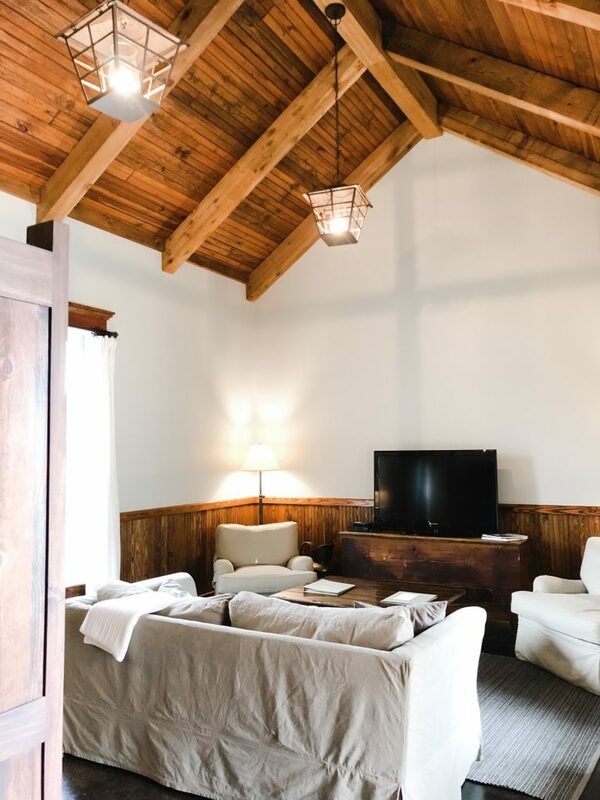 We received a complimentary room upgrade with it being our anniversary, such an unexpected treat, and we enjoyed every moment staying in the Cottage Suite. 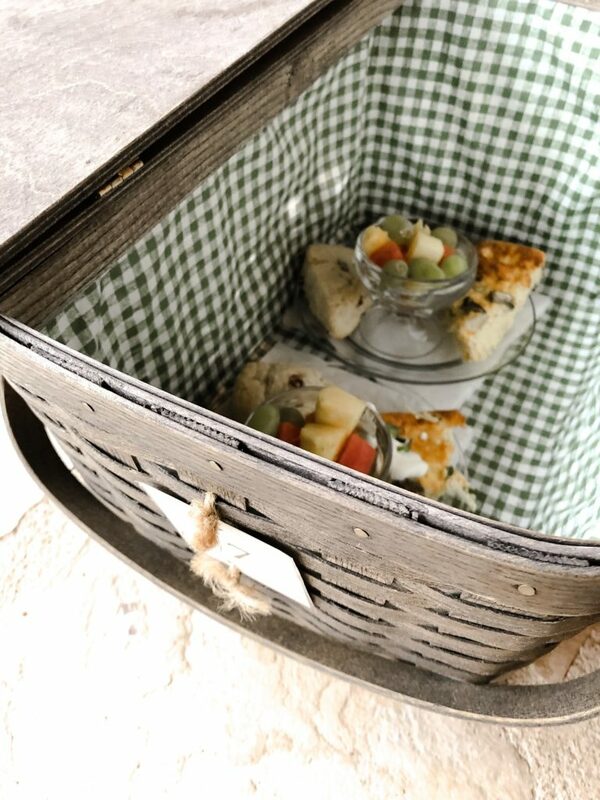 Breakfast was brought to our cottage promptly at 9 am each morning in a picnic basket marked with our room number. Being the early birds we are, knowing breakfast was being provided and at 9 am, gave us a perfect excuse to sleep in! 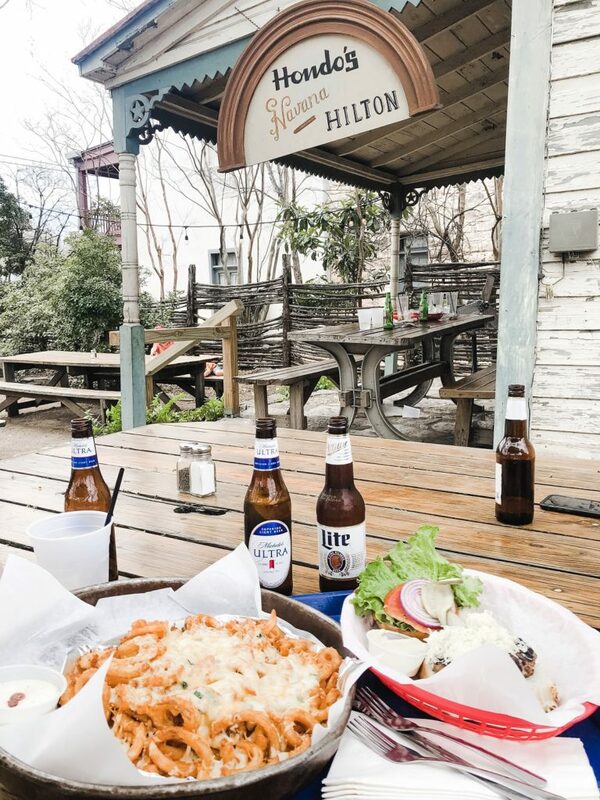 When we arrived on Friday we headed straight to Hondo’s on Main for a late lunch of delicious cheese fries and a burger. 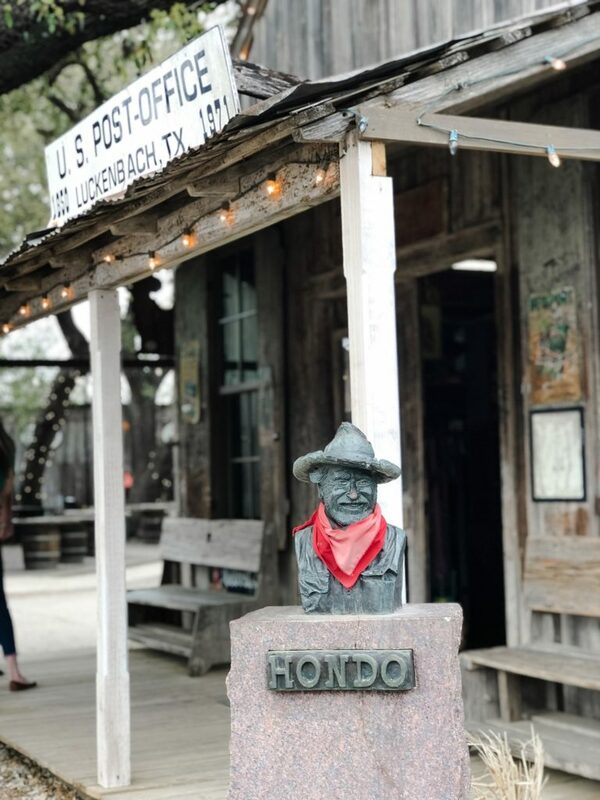 Last time I visited Hondo’s it was too cold to enjoy the outside seating, so it was a nice change to sit in the courtyard and take in the spring air. After lunch, we did a little window shopping on Main Street before heading 10 miles out for our evening entertainment. 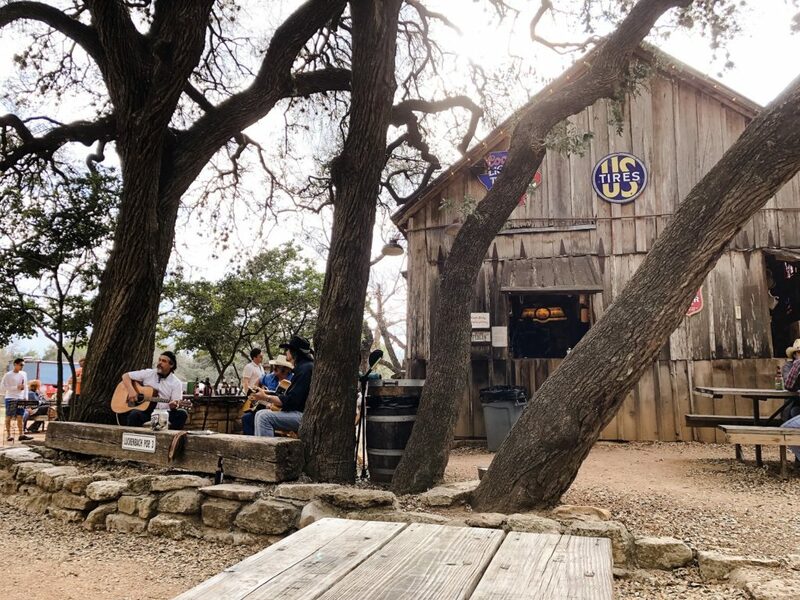 Luckenbach has been on our bucket list of travel stops and we were so anxious to be able to mark it off. 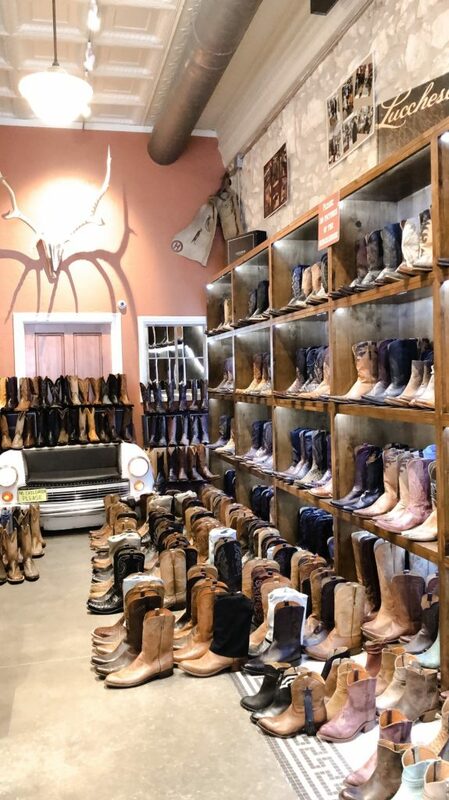 From the moment we drove up to the little cluster of run-down buildings with lights hanging from trees and the sounds of guitars picking, we knew it was our type of place. 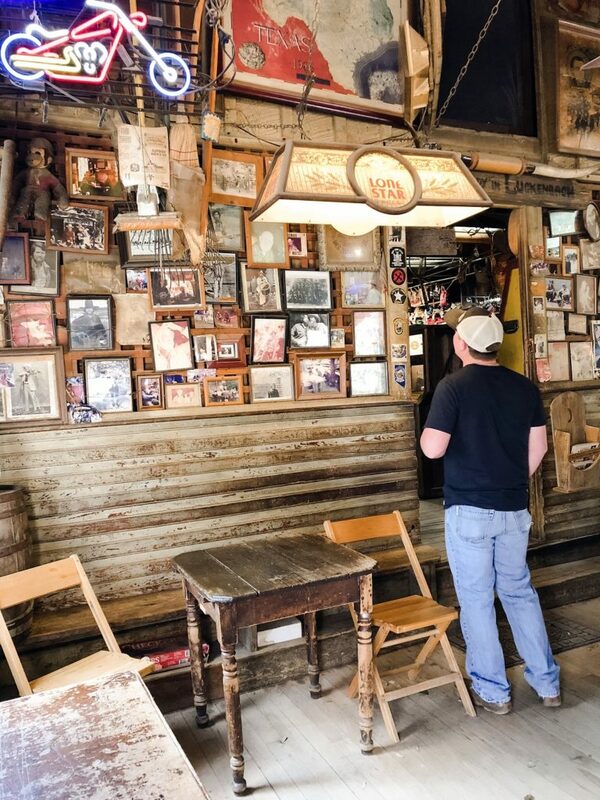 The whole evening we were just enthralled by all of the little knick-knacks pinned to the walls by travelers throughout the years and how everything seemed to have its place. 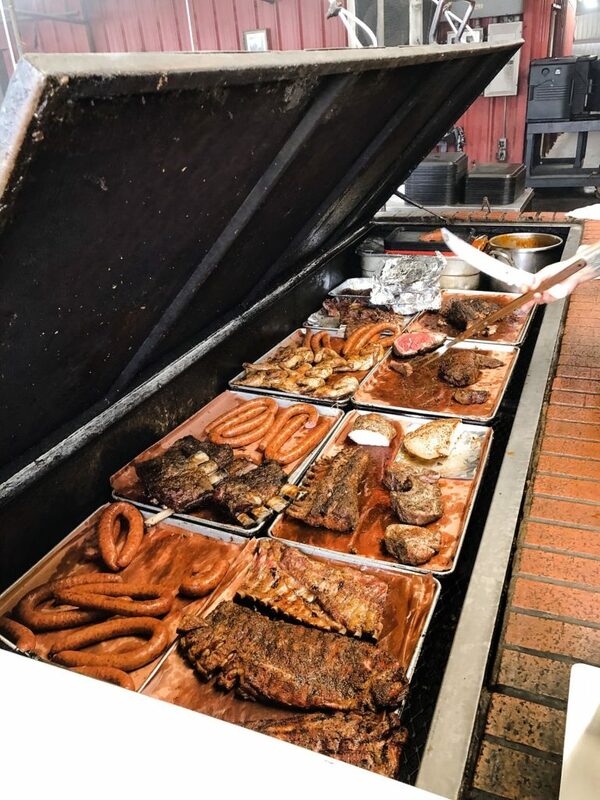 If you have never been, we highly recommend you to drop by when you get the chance! 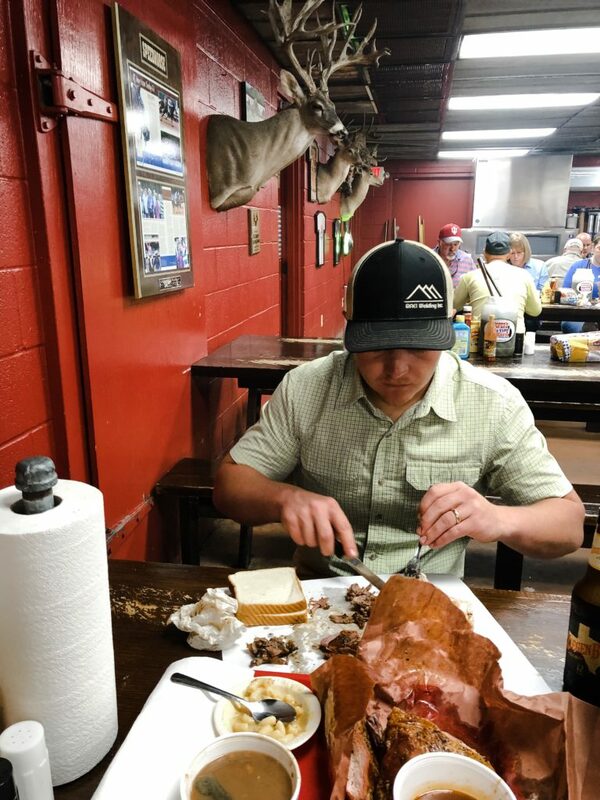 Saturday morning started off misty, so we decided to pack up and head to Llano to enjoy the famous Cooper’s BBQ for lunch before hitting the wineries. 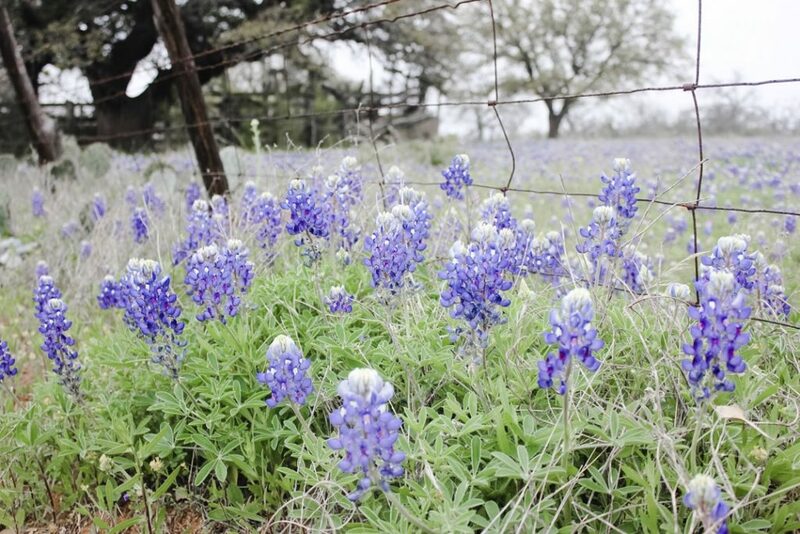 The drive from Fredericksburg to Llano during the Spring is breathtaking with rolling hills and bluebonnets blanketing both sides of the road. I had Zac stop several times so I could soak it all in! After our delicious traditional BBQ lunch, we headed back for a wine tasting at Barons Creek Vineyard, the 2017 Campeon was our favorite and Altstadt Brewery to sample their amazing German beers. To end our weekend getaway we headed back to Main Street for a light dinner and drinks at Silver Creek. Stopping to listen to the many street bands and enjoying the cool Spring air. 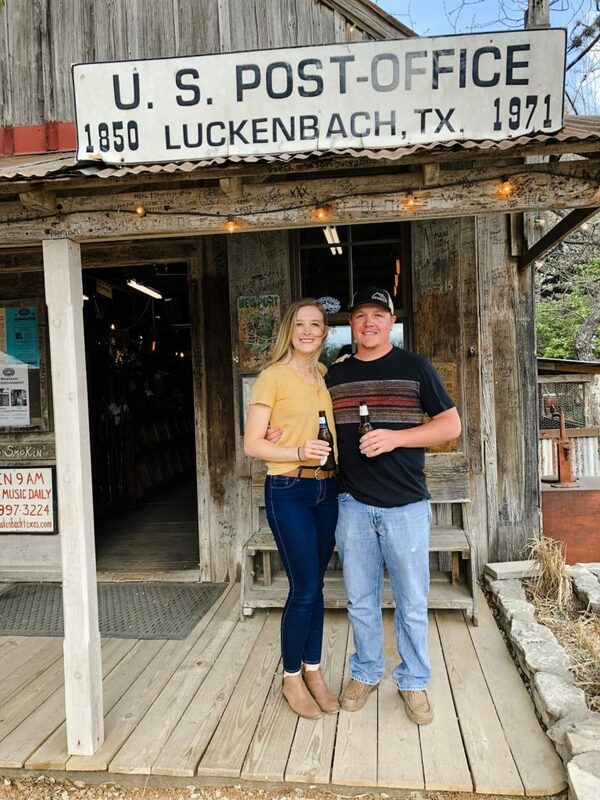 We had the best Anniversary trip in the hill country and we are already thinking of an excuse to go back! It is hard to believe that we have already been married for two years. Time flies when you are having fun and we 100 percent agree. Now… to start thinking of places to visit for our third anniversary! Do you have any suggestions on where we should visit next year? Two years. Just WOW. Happy Anniversary you two.